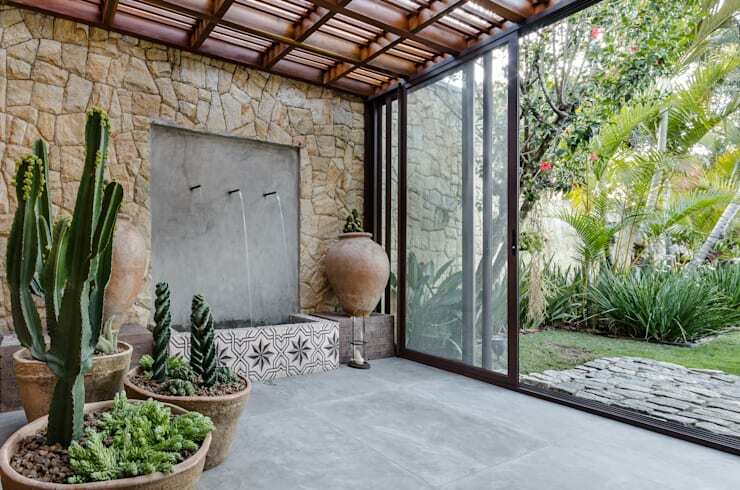 If you have a small house with a cement yard, you can decorate it in several different ways. You can add a beautiful flowerbed, enhanced landscape, or create an area with wood furniture that brings beauty and lightness to your outdoor space. All the more if you are looking to save money then you are at the right place. 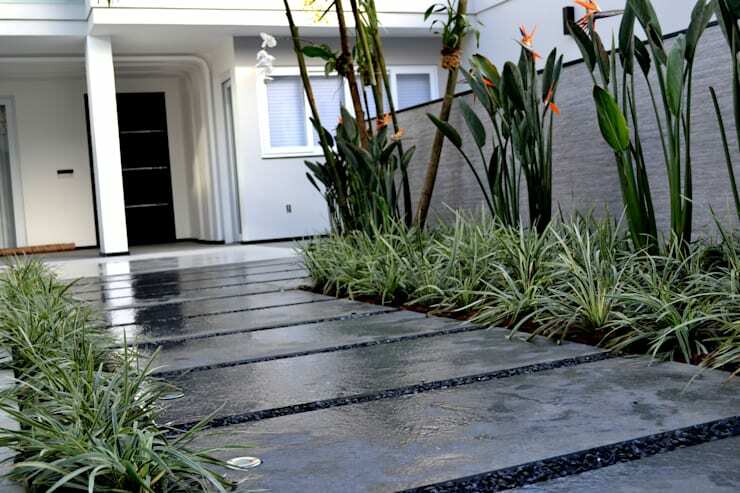 Cement or concrete is a compelling natural element that you can use for various purposes. However, first, you have to define what you want in your yard or garden. Once done you can then bet on raw materials to make a wall, bench, pathway, cacti bed, or even a wall with mosaic. Let's start with a beautiful white pebble bed. Here the color green gives a touch of life to the gray wall. The advantage of cement is that you can create different elements with extended durability. 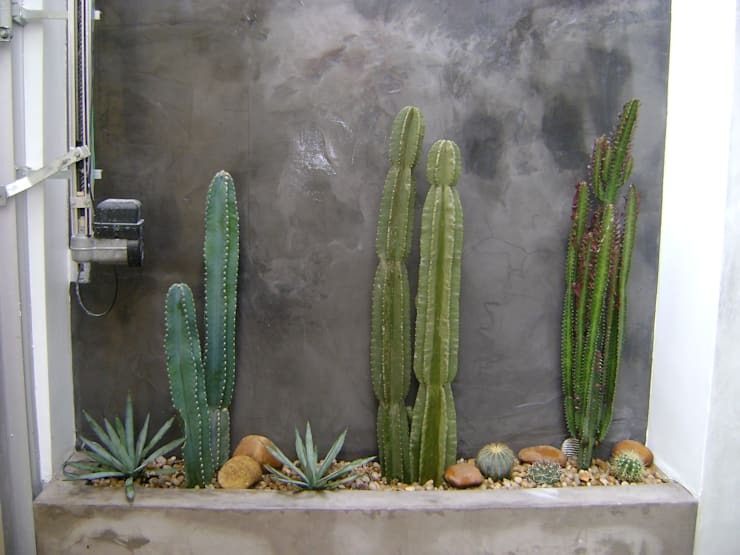 Here is another example of how to create a wall of burnt cement and a beautiful cactus bed. You will practically have no work after finishing the project with regards to its maintenance. 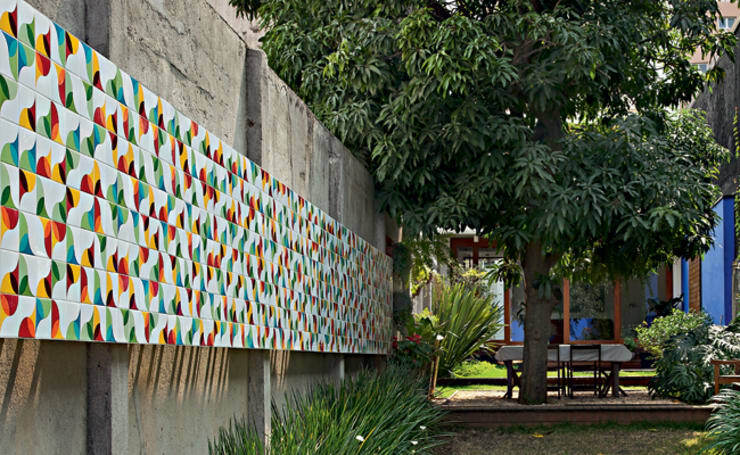 In this proposal, the concrete wall received a colorful strip which gives life to the garden. It is a cheap and straightforward idea. If you know a friend who loves art, then lend your space, so that they can creatively decorate the area. Another way to make your yard look splendid is by investing in a fountain. 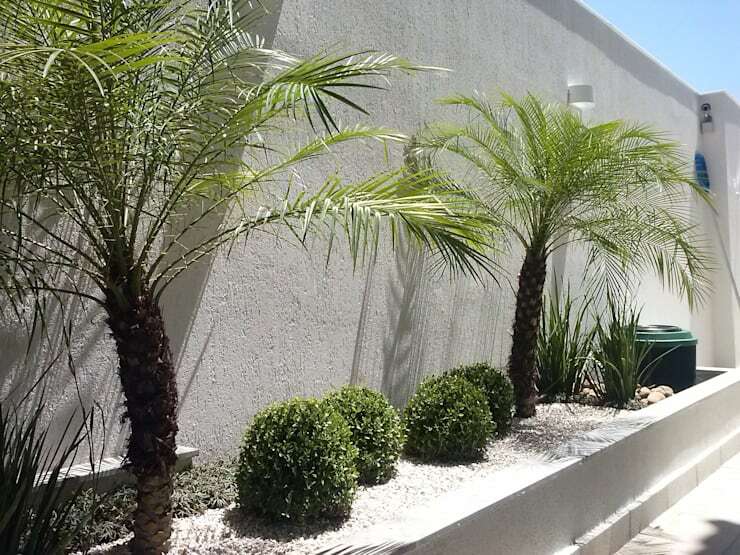 You can incorporate it into the cement wall along with different potted plants. Here we have a practical and economical idea in the form of potted plants. Also, they can be combined with the bed and the wall. The material is inexpensive and easy to find in landscaping store. 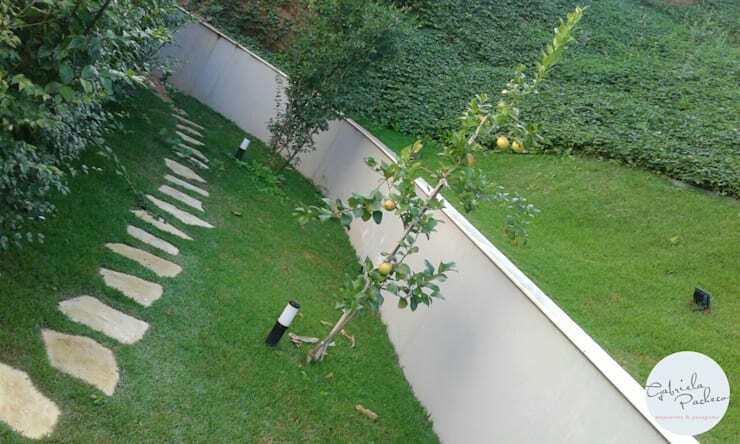 If your yard is cemented, then break up stretches of the ground to create a path with black pebbles. The visual impact is always right because the contrast that is created is beautiful. 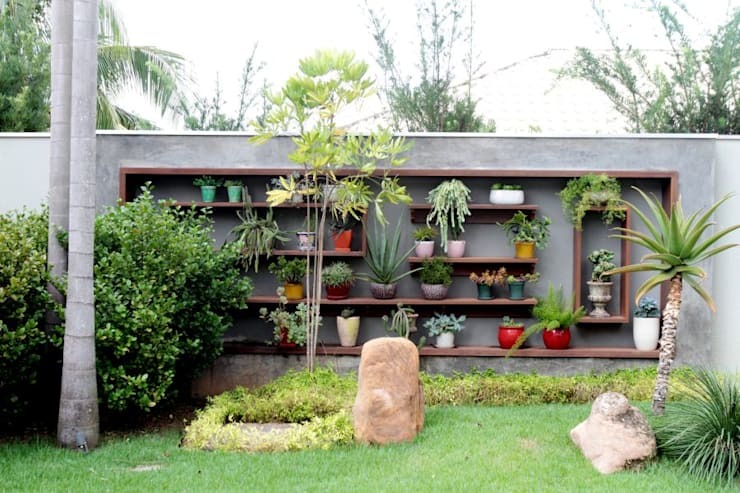 If you have an ugly gray wall, then you can insert different sizes of wooden shelves to create a lovely vertical garden. With a very discreet style, the burnt cement leaves a robust appearance in the external area. 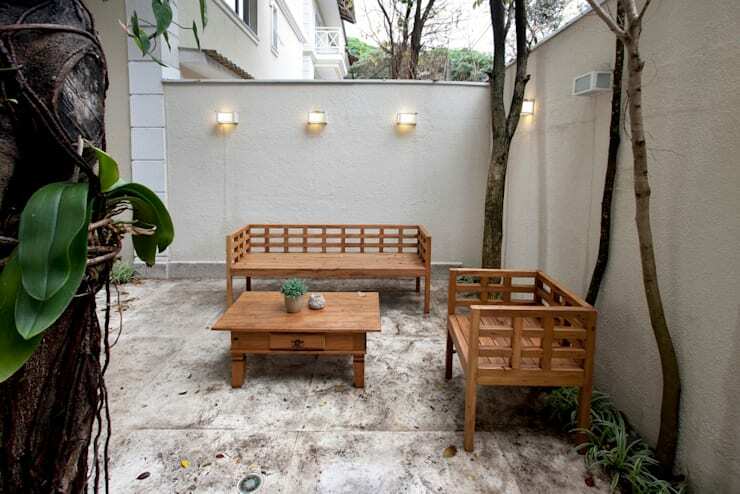 It is excellent for those seeking a modern decoration that matches the tone of wooden furniture. An idea with low cost is to use concrete or cement, preferably for the walls and different vessels. You will see how the gray gains a touch of life in harmony with the vegetation. 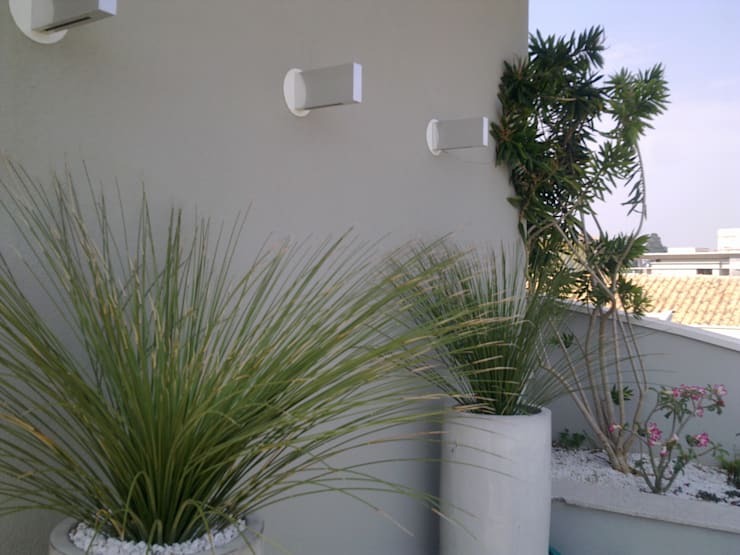 Here the final image is a concrete wall that contrasts with the green of the vegetation. 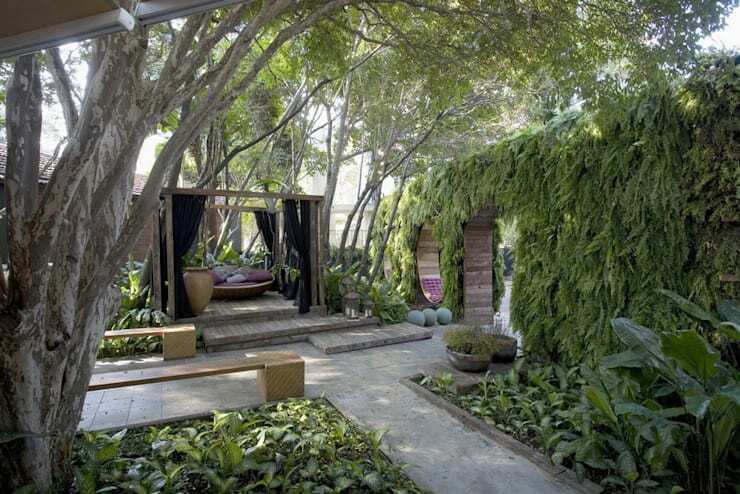 There is a natural and inexpensive way to give a lush look to your backyard. Invest in a good paint to coat the surface with a cheerful color, just like we see in this image.